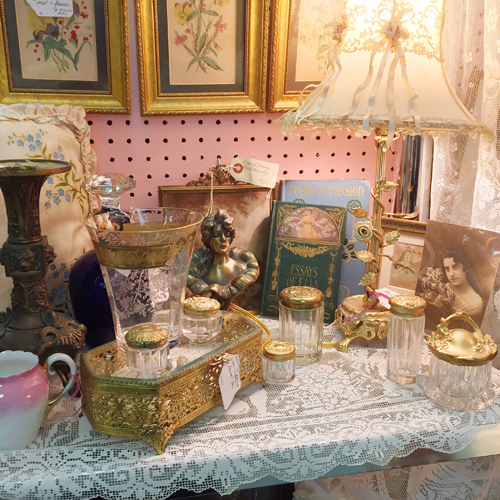 Dealer Paula Davis’ customers like romantic living spaces, which she helps them create by offering vintage linens & lace displayed with furniture in a shabby chic style. The objects Paula has for sale stir feelings of nostalgia for past romantic times, making lovely interiors and a romantic home. Most items have a love story attached to them somewhere in the past.